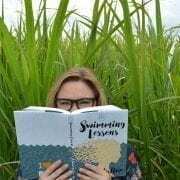 Literary lover and Book of the Month Club judge Stacey knows a thing or two about amazing reads. Here, she shares in her own words her March book picks. You’ll want to add them to your #TBR pile, now. Set in the 1950s in Morocco, this psychological suspense debut has been high on my wish list ever since I saw the stunning cover back in November. After not speaking to each other for over a year, Alice and Lucy are unexpectedly reunited in Tangier. As the political climate reaches a boiling point, so does their fractured friendship, and Alice begins to become suspicious of Lucy’s motives and why she has come back in to her life. Then Alice’s husband goes missing and Alice finds herself questioning everything she thought she knew about Lucy and their relationship. I get a Single White Female vibe from the synopsis so I am very interested to see what direction Christine Mangan takes the story. She has a Ph.D. in Gothic British Literature (which I think is incredible) but if that’s not enough to pique your interest, this book has already been optioned by George Clooney’s Smokehouse Pictures and Scarlett Johansson is slated to star. I love to lose myself in a good family saga full of culture and history, and I think this book is going to deliver just that. Miguel Angel de la Cruz has called his entire clan home for an epic celebration of what is to be his last birthday. His time to regale his loved ones with family stories and legends is cut short however, when his mother unexpectedly passes away. Incorporating the stories of Miguel’s Mexican family members who crossed the border to make a better life for themselves, as well as giving voice to those in his family who were born on American soil, The House of Broken Angels promises to be an incredible celebration of life and death and what it means to be American. I had the privilege of reading this gorgeous book over the weekend and I loved everything about it. Whiskey & Ribbons reads like poetry and it was one of the most refreshingly authentic stories I have read in quite some time. Evi is grieving the loss of her husband, Eamon, who has been killed in the line of duty. Struggling to come to terms with raising a newborn son as a widow, she begins to lean on her husband’s half brother, Dalton, for support. Finding themselves snowed in one weekend, Evi and Dalton explore what it means to love and grieve those who leave us too soon and how to begin the long road of healing and daring to hope again. What would you do if your passion, the very thing you lived for, was slowly taken away from you and the thief stealing it from you was none other than your own body? 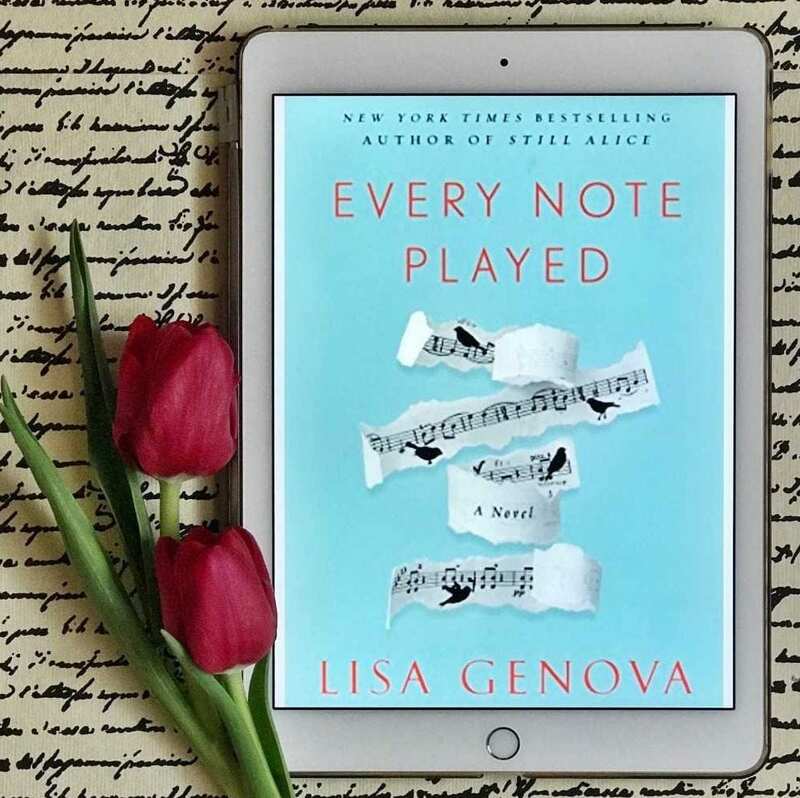 Lisa Genova’s latest novel is about an accomplished pianist who suddenly finds himself diagnosed with ALS. As Richard’s body slowly deteriorates, his estranged wife begrudgingly agrees to care for him and they find themselves attempting to right their wrongs against one another before it is too late. Lisa brings fascinating medical insight to all of her novels and her books always leave me reaching for Kleenex by the time they are finished. Even though I know this will be a sad read, no one humanizes what it’s like living with illness the way Genova does. When a young daughter discovers passionate love letters and travel photos from exotic places all over the world in her parents’ attic, she is forced to reexamine how well she really knew them and what happened to their relationship. When she was 16 years old, Anya lost her father to a horrific car accident in the Ukraine. Now at 32, she has buried her mother after watching her slowly drink herself to death over the years since her father’s passing. The things that Anya finds while cleaning out her mother’s house portray a very different family than the one that she remembers. This discovery sets Anya on the path to find out who her parents were and what really happened to her father all those years ago. I am always fascinated by true stories of how people react to family secrets and deception. I am anxious to read about Anya’s journey as she tries to find the missing pieces of the puzzle and the remains of her parents’ past. Two strangers have a chance encounter on a London bridge thanks to a fox. Yes please! A quirky plot and animals abound in Aminatta Forna’s latest work and everything about this is right up my alley. When Jean (an American wildlife biologist conducting research on urban foxes) and Attila (a psychiatrist specializing in refugee trauma) accidentally collide on Waterloo Bridge, they can’t possibly imagine how their lives will be changed by one another. Stories that explore what it means to be truly happy and how we are all connected are some of my very favorite reads, so my hopes are high for this one. Great recs! Adding them all to my TBR now. Love this Stacey! So proud of you! What a great list of book recommendations. I am dying to read Tangerine, I. can’t. wait! Whiskey & Ribbons sounds likes a phenomenal read. I am adding that one to my wish list now, too. Stacey, your pictures are always stunning. Lovely write up and your pictures are beautiful! GREAT article! I now want to read each one of these books!